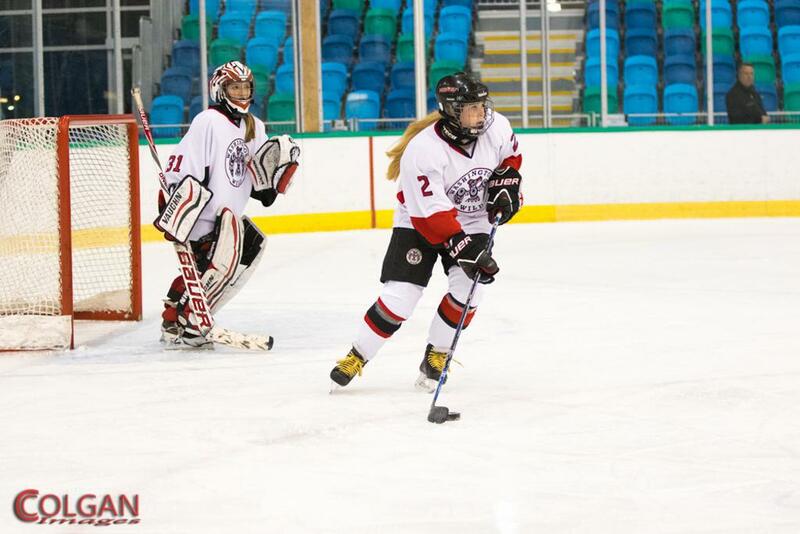 Graduating senior Alaura Duguay played for WWFHA for 7 years; 2 years with the 14U house team (previously called the Phoenix), 1 year with the 19UA Rep team, and 4 years with the 19UAA Rep team. From Shoreline, WA, she went to high school with Homeschool Connections. What were you high school activities and interests besides ice hockey? I participated in choir and theater. What do you plan to go to college and what will you study? What are you most excited about or looking forward to at college? Alaura: I am looking forward to the community aspect of living on campus at Trinity Western University. I am eager to make new friends and experience college life. I am excited to get involved with the Human Kinetics program. What are you most excited about or looking forward to about playing for the Women’s Hockey team? Alaura: I am looking forward to being on this team to experience the community of a college hockey team, work with a new group of players and coaches, and represent Trinity Western University in the Vancouver area. I am also excited to once again play on a team with my sister [who has been playing on the team for 3 years and is also a WWFHA alumna]. Sharon: This year we had the privilege of hosting another player from the 19UAA team. We enjoyed sharing our home with her and hope she enjoyed it as well. We feel we made a great connection with her and her family and consider it to have been an honor to have her in our home. Alaura: As a player, it was like having another sister in the house to shop with, go on walks with, and make midnight ice cream runs. We hope she had a good experience here and will consider coming back to the Wild and continue to pursue her hockey dreams. Alaura: As a player I always liked the community within the Wild, not only on my team, but with other teams as well. Every team quickly became like family and having the opportunity to practice and participate in team dinners with 19UA team, 14UAA team and 12UAA team caused them to quickly become like family as well. Sharon: As parents we have appreciated the opportunity WWFHA has provided for both of our daughters to play hockey in an organization devoted to the development of women’s sports. WWFHA has done a great job of promoting this sport in the Puget Sound region. What was your most memorable moment or time while playing for WWFHA? Alaura: My most memorable time playing with WWFHA was playing at the MLK Tournament in January 2017. Over this tournament our team not only dominated on the ice, but experienced uncontrollable laughs, van ride dance parties, fancy team dinners, and taking home first place. This tournament was one of my favorite tournaments with the Wild and I am more than honored to have been a part of such an amazing team. 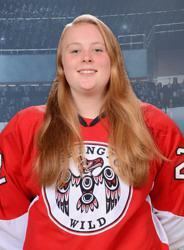 Alaura: I would say, work as hard as you can on the ice and in the classroom and never give up on your dreams. There are always going to be players who are bigger and better than you and other students who are smarter than you, but don’t let that get you down. Let it be the fuel to your fire and work as hard as you can to be the best player, team mate, and student you can be. Don’t play hockey to get to the final destination of college hockey. Play because you love the game and to make an impact on the sport and you will be surprised where you end up. But always remember, when choosing a college, choose a school based on the academics and community, not just the hockey team. Thank you, Alaura, for your positive impact on WWFHA and forever willingness to help your team and the association! Best of luck to you at Trinity Western! Go Wild!